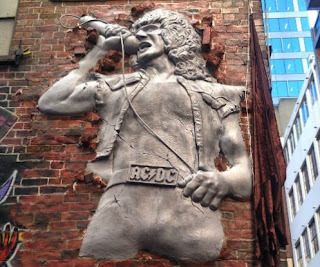 A new statue honoring AC/DC icon Bon Scott has been unveiled in AC/DC Lane, Melbourne. Corporation Lane was renamed AC/DC Lane in 2004 to honor AC/DC’s ties to Melbourne. Although the band formed in Sydney and recorded in Sydney, for a period in the 70's they lived in Melbourne around the time of the first two albums High Voltage and TNT. AC/DC’s drummer Phil Rudd and bass player Mark Evans were born in Melbourne and Bon Scott initially lived in the Melbourne suburb of Sunshine with his family when they migrated from Scotland when he was 6. When Bon was 10 the family moved to Perth but he returned to Melbourne. Bon moved back to Melbourne in 1967 with his band The Valentines. AC/DC filmed the iconic video for ‘It’s A Long Way To The Top (If You Want To Rock N Roll’ in Melbourne along Swanston Street, just two blocks away from where AC/DC Lane is now situated. 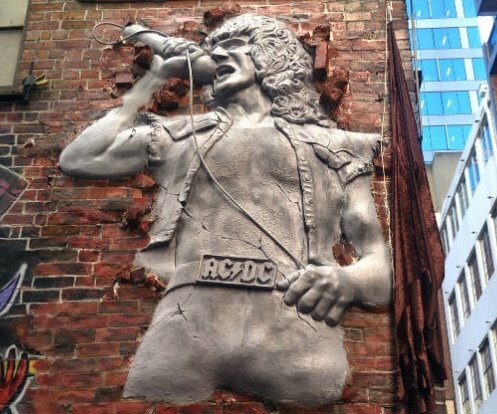 The Cherry Bar’s James Young, who was instrumental in getting the original AC/DC Lane name though local government, was on-board to announce “Sydney has the Opera House but from today Melbourne will have Bon Scott”. Bon’s son Dave Stevens then unveiled the statue. 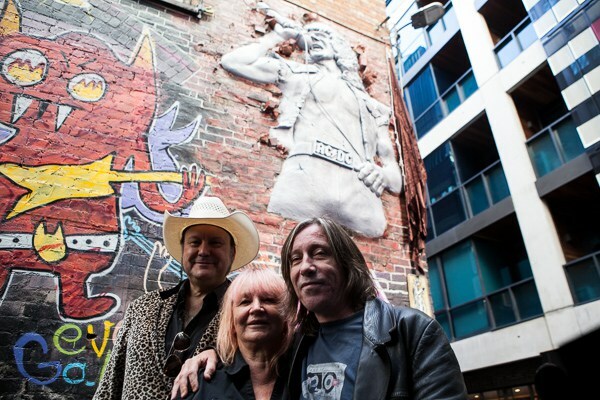 “I think its pretty spectacular to have this in Melbourne, the City of AC/DC,” Bon’s former girlfriend and author of the book ‘Live Wire’ told Noise11.com. AC/DC Lane Melbourne is off Flinders Lane between Russell Street and Exhibition Street.